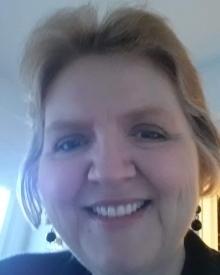 Debra Lynn Jenkins Welch, 56, of Roanoke, was born August 16, 1962, and passed away unexpectedly in her home on Sunday, January 27, 2019. She was a graduate of Patrick Henry High School and graduated with honors from Dominion Business School. She was a devoted wife, mother, sister, daughter, and friend. Debbie was employed many years with Attorney-at-Law, Mark Claytor and was currently employed at Blue Ridge Legal Services. She was preceded in death by her maternal grandparents, Willie M. and Rhoda Gray Hunley; parental grandparents, Daisy Miller Jenkins, Henry D, Jenkins, and step-grandmother, Mary Frances Jenkins; father, Ronald Allen Jenkins; father-in-law, Leo Welch; aunts and uncles, Joyce Hunley Correll and Alvis Correll, Rodney (Bud) Hunley, Sr., and Norma Jean Hunley; and cousin, Walter Lynn Underwood. Debbie is survived by her husband, Glenn Welch; son, Taylor Welch; mother, Betty Lou Hunley Jenkins; sister, Rhonda Armsworthy; brother, Jon Christopher Jenkins; sister-in-law, Theresa Jenkins; aunt, Bonnie Underwood and family; uncle, Jimmie Hunley, Sr. and Gloria Jane Hunley and their families; nephew, Jacob Jenkins; nieces, Kristan Rake, Courtney Sigmon and husband, Matt, and Danielle Armsworthy; great-nieces, Amelia, Callie, and Scarlett; mother-in-law, Edith Welch and many other dear Welch family members; special friend, John Harding; and Debbie’s furry friends, Dixie and Pearl. The family will receive friends Sunday, February 3, 2019 from 2 to 4 p.m. and 6 to 8 p.m. at Lotz Funeral Home, 1001 Franklin Road, Roanoke. A celebration of Debbie’s life will be conducted at 11 a.m. on Monday, February 4, 2019 at Lotz Funeral Home.